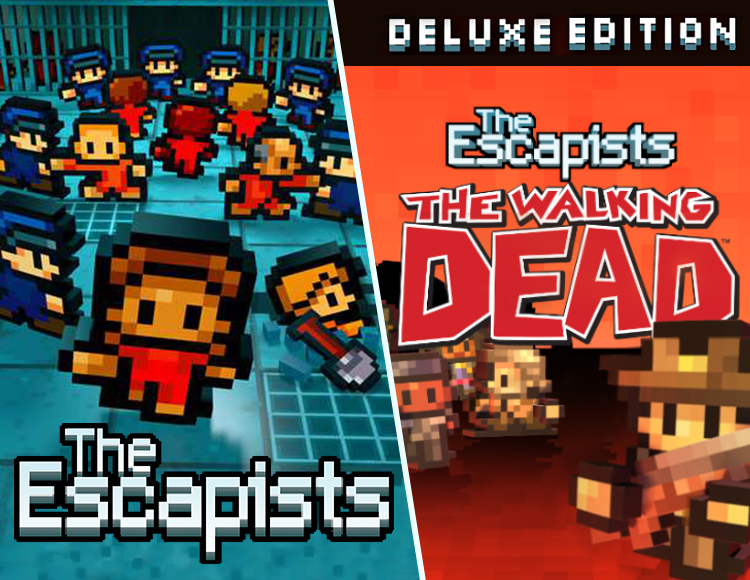 After payment you receive a link on which you can get a license key with the game The Escapists: The Walking Dead Deluxe from the official supplier - the company "Buka", for activation in the STEAM system. The Escapists offers players to plunge into everyday prison life, and the main goal, like for any prisoners, is to escape! Under the strict supervision of protection, players must perform daily duties, while quietly appropriating useful items directly under the jailers´ nose. To escape, prisoners must learn how to create useful tools and even weapons from objects that are safe in appearance, and also know how to use them to implement tricky distracting maneuvers. Players should know when they should follow the rules, and usefully spend time developing their own escape plans. The secret behind life behind bars is to study the prison routine of the day and the ability to notice favorable cases. So the development of possible ways to exit and even the entanglement of the guard will soon become a habit. Players should not forget to appear on roll call, do not lose workplace and maintain good relations with other prisoners. You can also improve the statistics of your character in various ways, including developing his intelligence and regularly practicing physical education. Find a balance between the daily routine and the development of escape plans to achieve the ultimate goal - escape to freedom! 8 fully operational prisons with different daily routines, allowing you to experience * real * life behind bars! 10 work positions, which you can do, if, of course, you have enough knowledge and skills to earn and keep these jobs! More than 185 unique items that can be found and maybe even used to create useful items. (Team17 fully approves the use of various weapons, including sharpening, nunchuck and hammers, but only in a fictional environment!). Different types of favors that you can perform for other prisoners. You do not want to upset them, do you? Extremely self-confident and incredibly funny prisoners and guards will not only keep you in suspense, but also entertain! A lot of ways to escape, after which you will be able to become the best fugitive in the history of The Escapists! A lot of cells to save the game, so you have the opportunity to develop several escape plans at once! The ability to earn Steam achievements. Leaderboard Steam. After being at large, compare your results with other players who successfully escaped from prison. EDITOR OF PRISON: create from scratch your own masterpiece prison and share it with the gaming community! A free update and / or tool will be available soon.